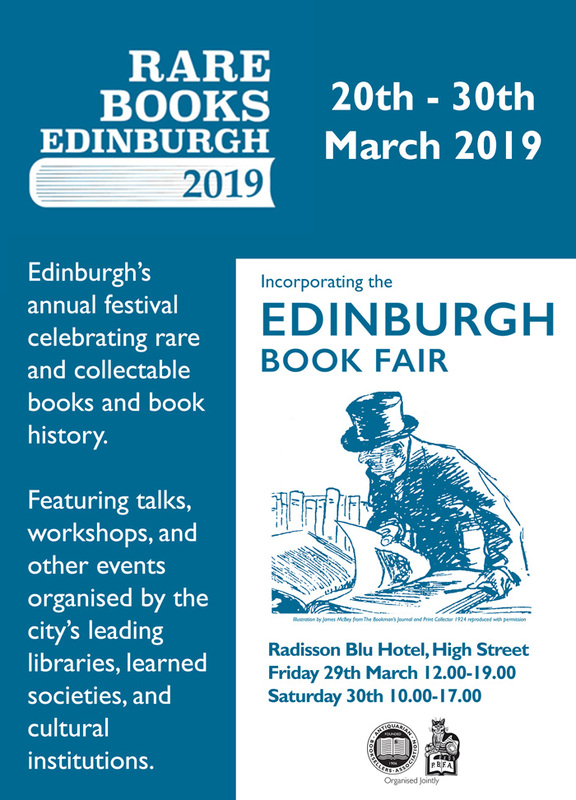 Coming up at the end of March is the third instance of Rare Books Edinburgh, a festival dedicated to rare and collectable books and book history. A dozen different events this year lead up to the Edinburgh Book Fair, Scotland’s largest antiquarian and collectable book fair, where over 40 exhibitors from around the UK will be showcasing books of all kinds. The book fair and most of the other events are free and open to the public. Please visit the website for the full programme.